June Musings from Prospect Cottage. 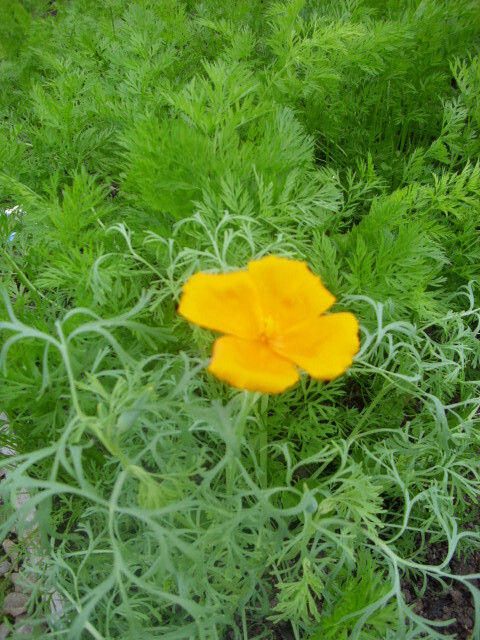 Californian Poppy among the Carrots. 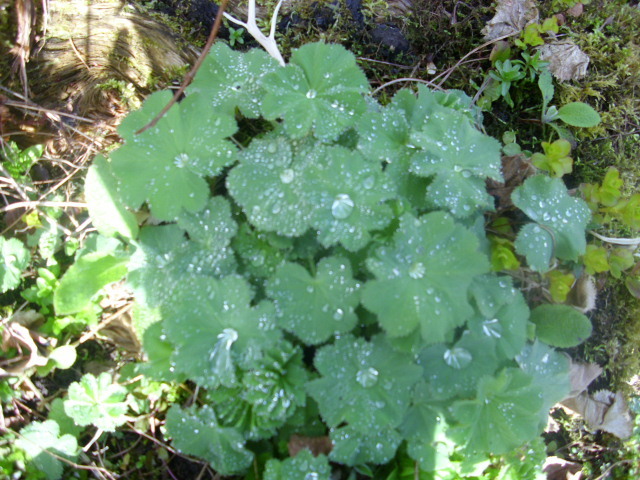 Don’t know how it came there, I did’nt plant it! 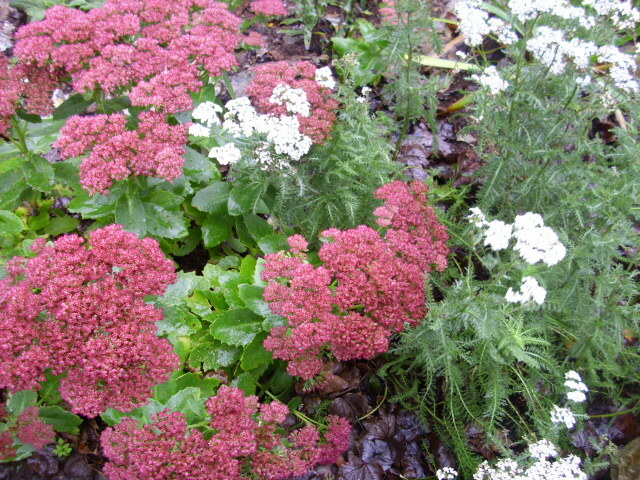 It is a welcome sight though on this sunless June day. 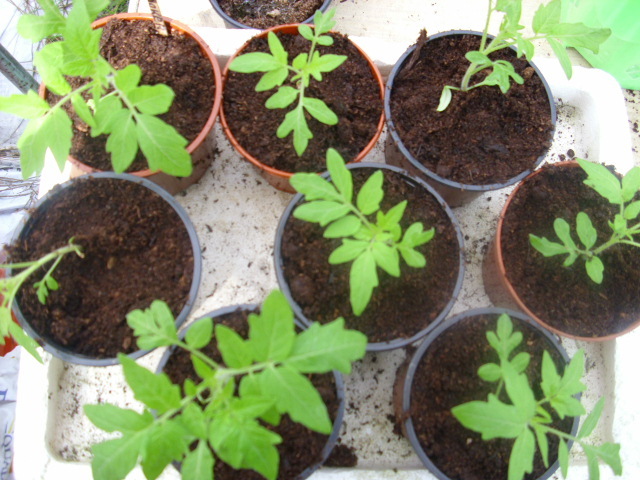 They self seed madly so maybe I will have a swathe of Californian Poppies in the polytunnel next Summer. Trifolium pratense or Red Clover as it is commonly known is flowering now. 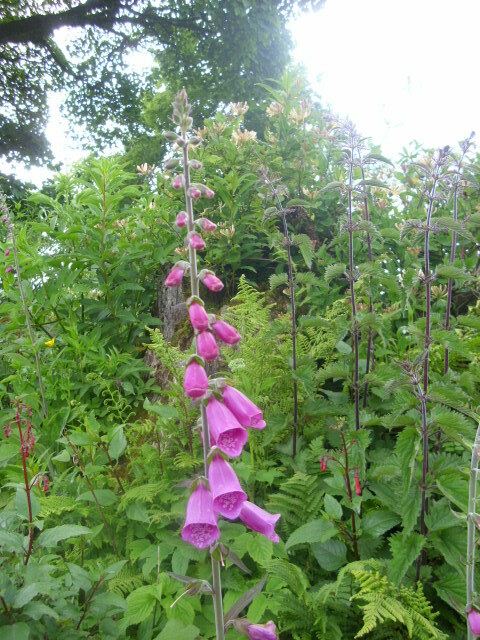 An important source of nectar for bees it grows wild along the lane. Like all legumes it is a nitrogen fixer. 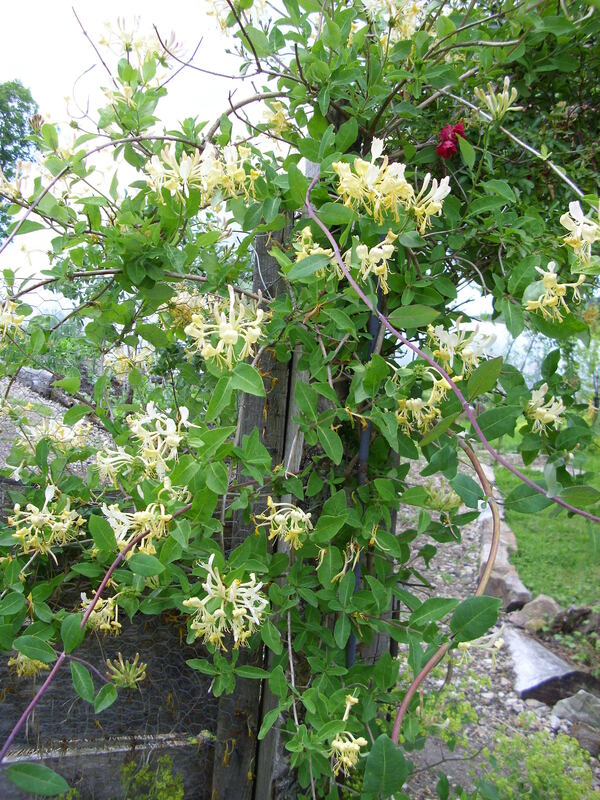 The flower heads have long been used in herbalism. 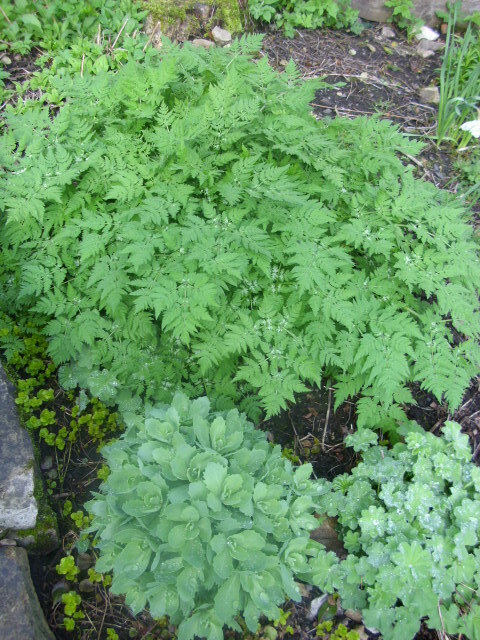 They are used in herb tea mixtures for chest colds and stomach problems. 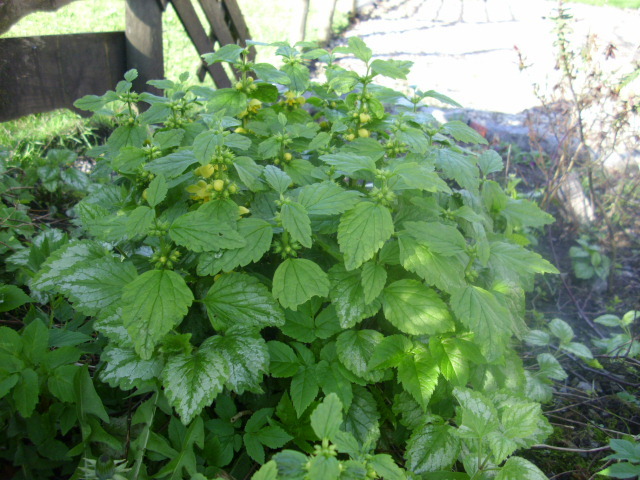 Externally it is used as a poultice or in bath preparations to treat rashes, ulcers, burns and sores. 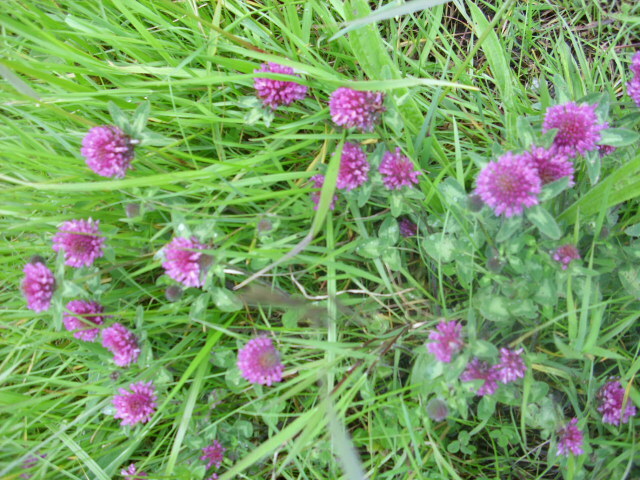 Some years ago I also read about research using Red Clover in the treatment of cancerous growths. 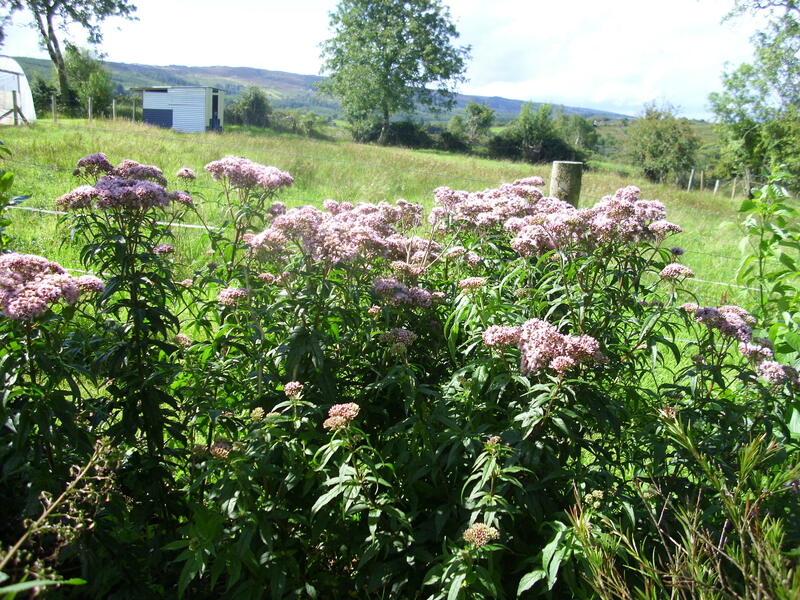 It seems like the Sweet Williams have been threatening to flower for ages. 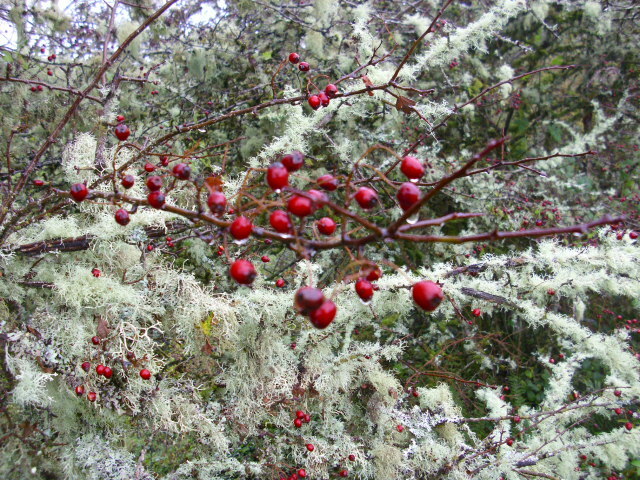 I think they are waiting for sunshine. Hopefully the wait will not be too long! 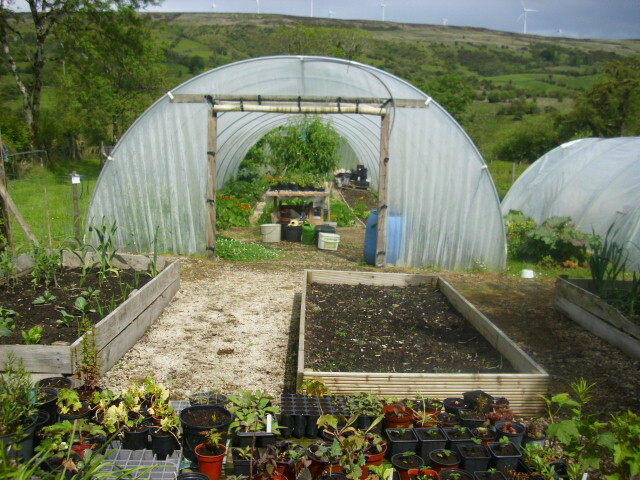 In the polytunnel everything is growing rapidly now. 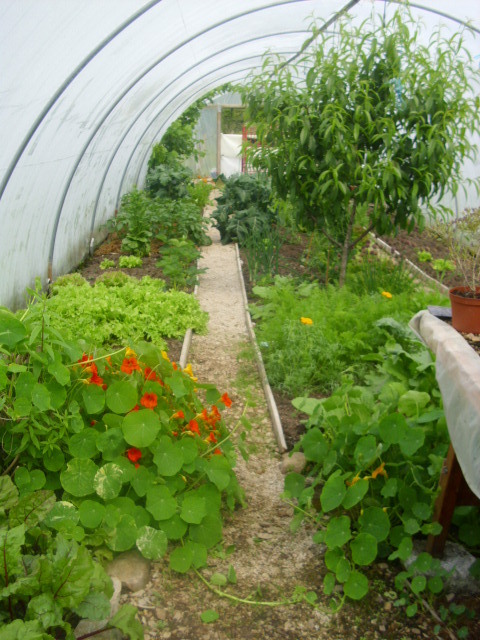 Lots of produce to be had, Lettuce, Rocket, Spring Onions, Beetroot and Sugar Snap Peas give variety to our meals. 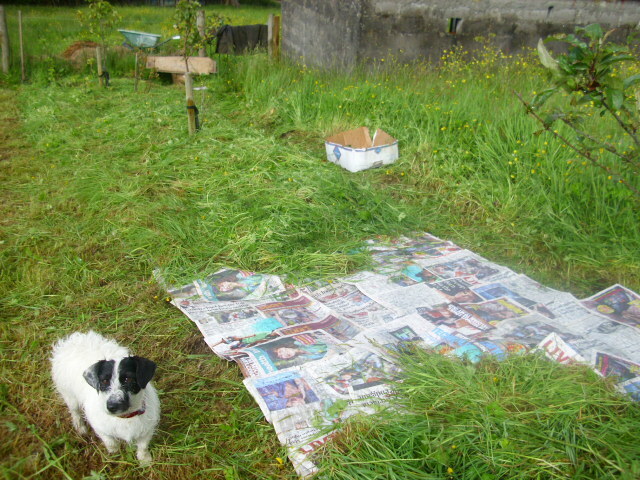 The bed you can see on the right was planted with Parsnips in March, however they did’nt germinate, due to the dry weather we had at that time, I think. Planted more last week so fingers crossed. 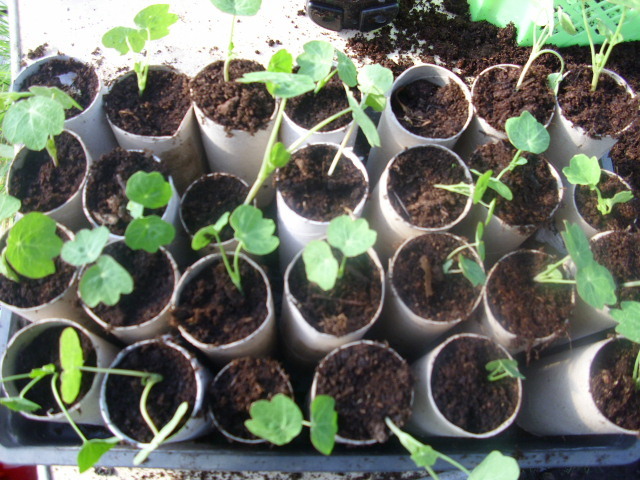 The Pumpkins are Sunflowers are still in pots in the polytunnel. 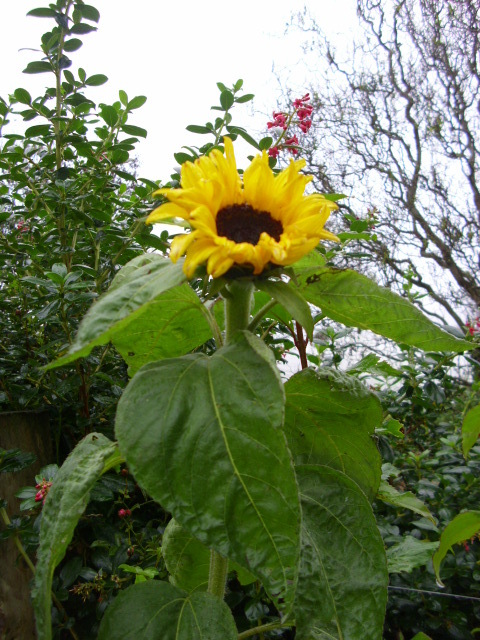 The weather was never settled enough to plant them out, although I think I will plant out the Sunflowers today as they are becoming potbound. The weather is so odd this year. On Friday last it was 25c, today it about 13c and the forecast for the week is for dull days with temperatures only reaching an average of 13c. 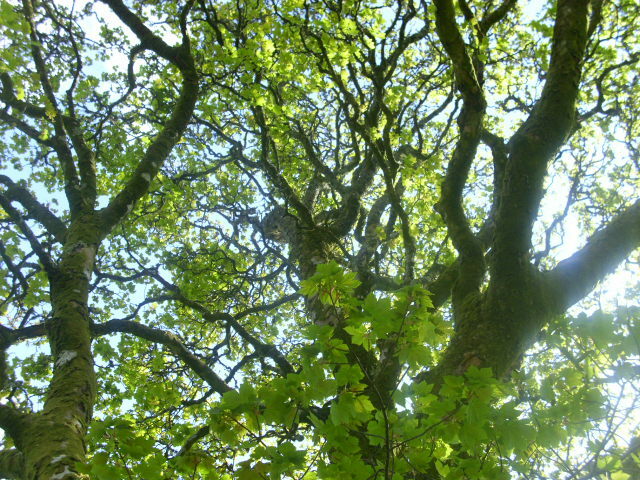 Sycamore tree and other musings from Prospect Cottage. The Sycamore tree in our back field is almost in full leaf now. 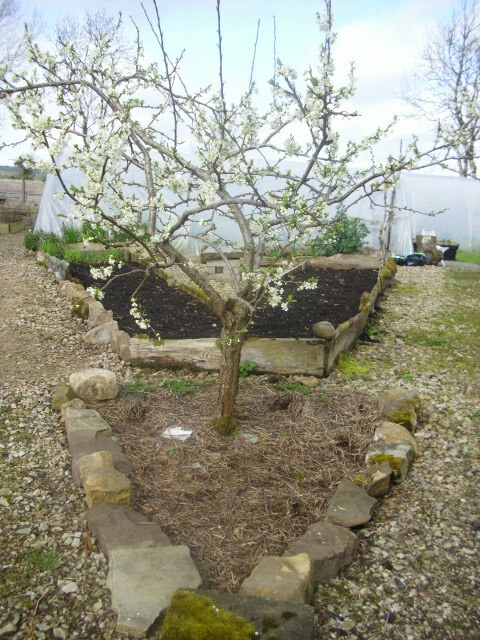 In a few weeks time the bees will be delighted when this tree flowers. I remember going into the garden last year and wondering where the hum was coming from. 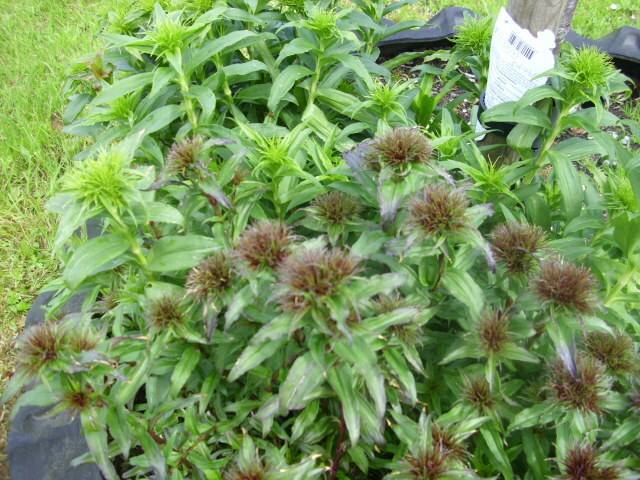 It was the Sycamore choc a bloc with ecstatic bees! 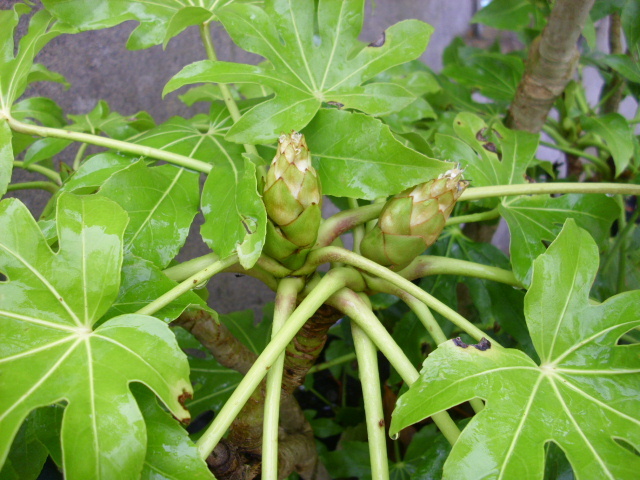 Many people regard the Sycamore as a bit of a weed as it’s seed crops up everywhere, however they are easy to pull out and pot on or assign to the compost bin. 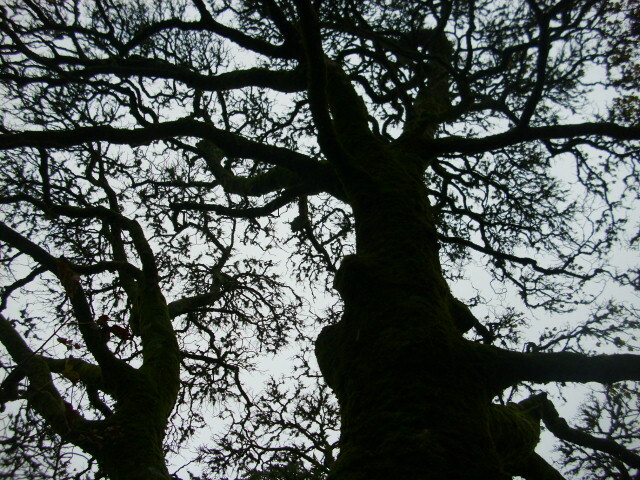 I love this tree. I love how it’s “arms” spread out to shade part of the garden from the Summer heat. The goats love to sit in it’s shade and play around it when they are feeling frisky. 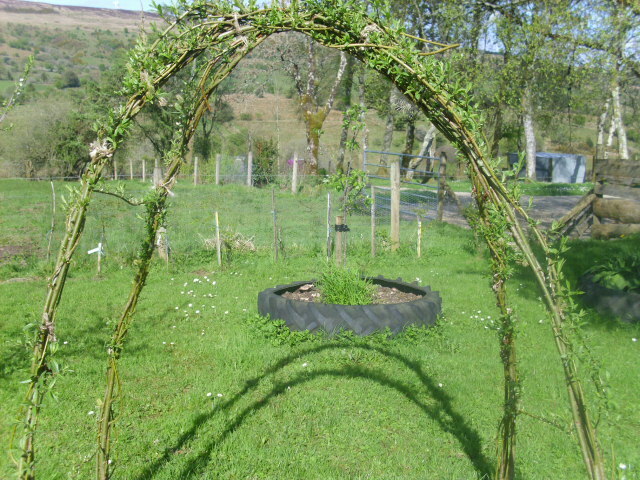 I was never happy with the shape of this Willow arch since we made it 2 years ago. 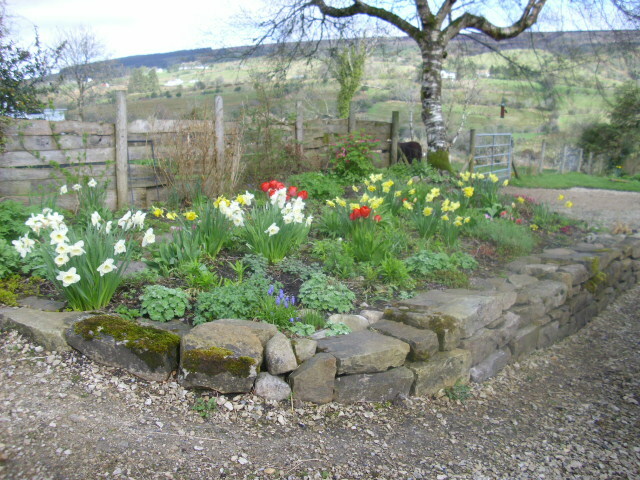 A few weeks ago we undid it all, pruned it and retied it into a better shape. Much happier with it now! 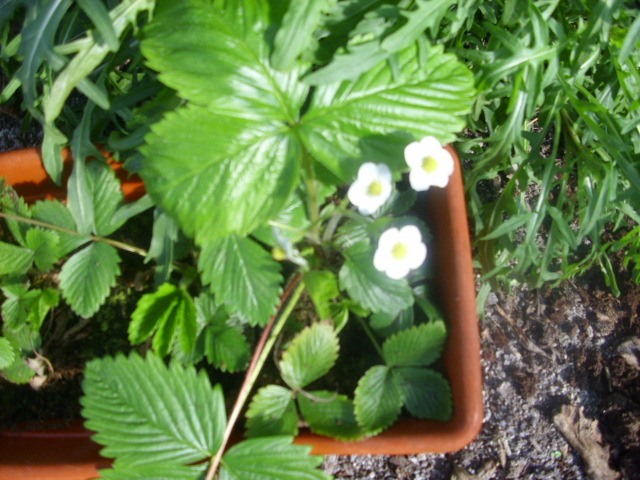 Flowers on the Strawberries, these are wild ones I found when exploring the old walled garden at Kilronan. 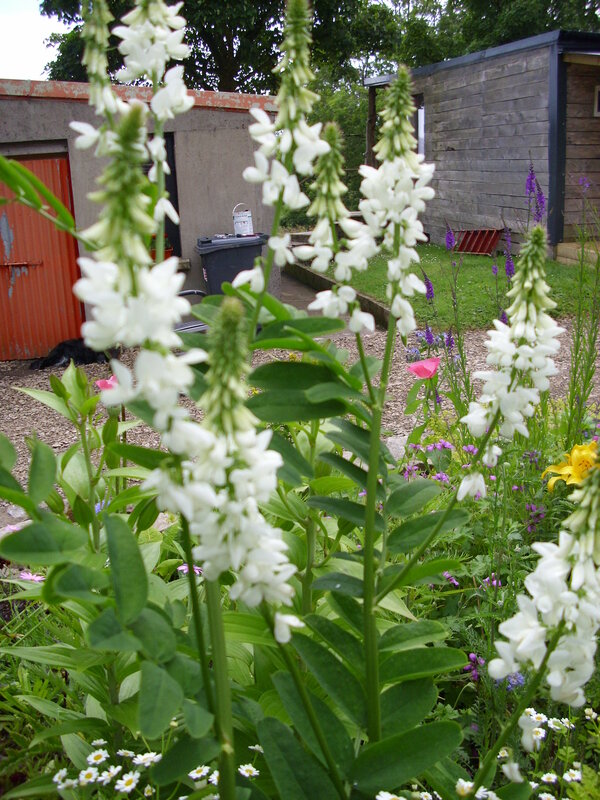 Maybe they are an old variety existing there since the heyday of that now sadly disused garden. 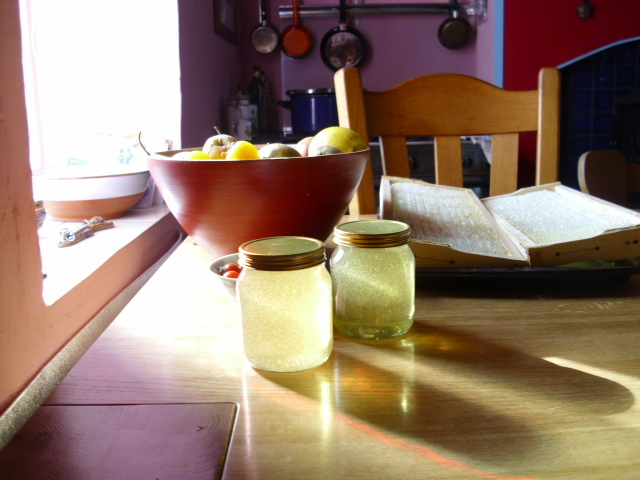 Natural Beekeeping at Prospect Cottage. 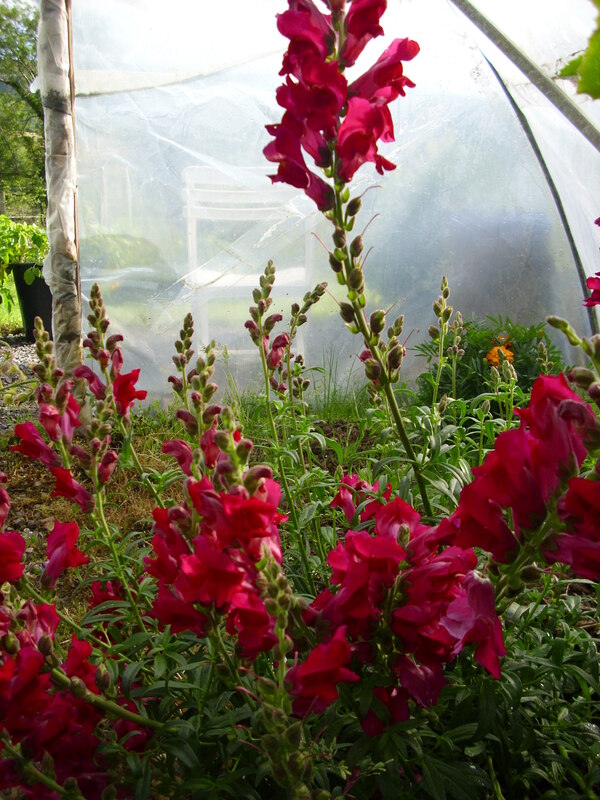 Bees have been in residence here at Prospect Cottage for almost 2 years now. 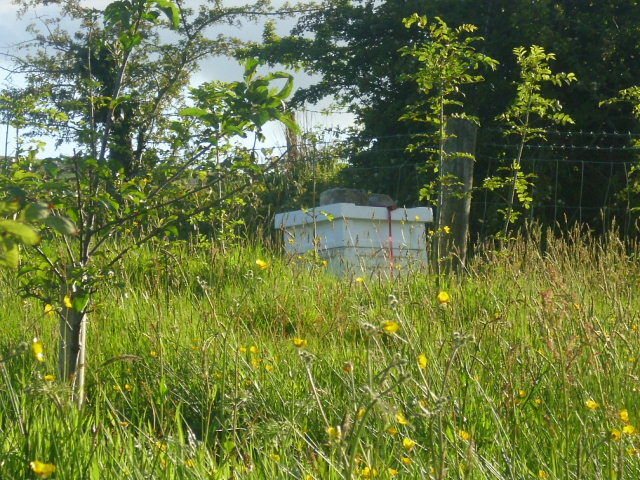 Andy did a beekeeping course in Summer 2009 and the bees arrived here that September. 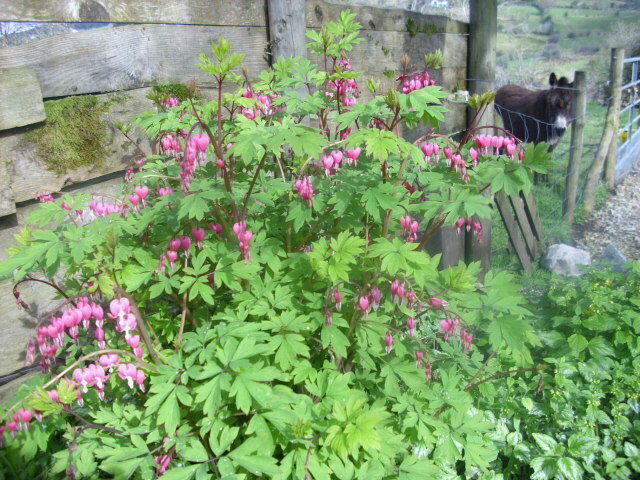 Since then we have had the 2 hardest Winters in recent times, thankfully our bees are well and healthy. 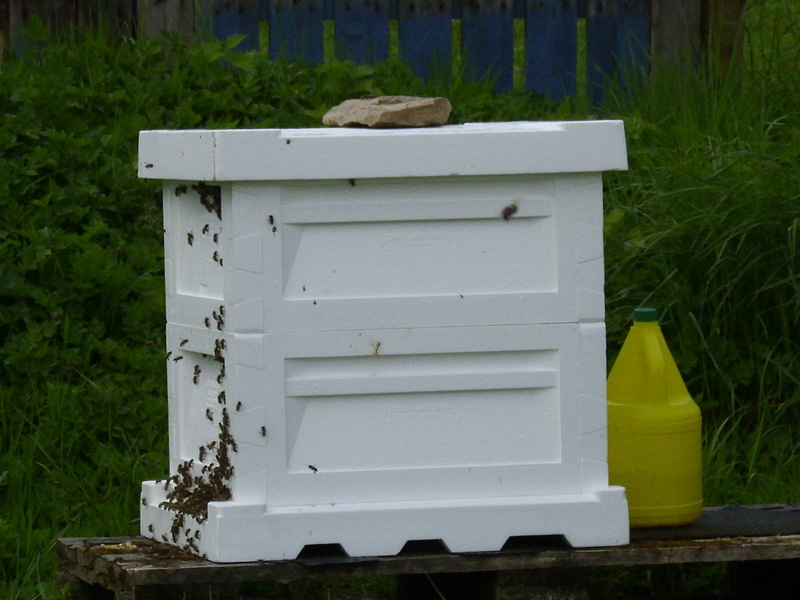 Andy prefers to keep bees in as natural a way as possible, with minimum interference. 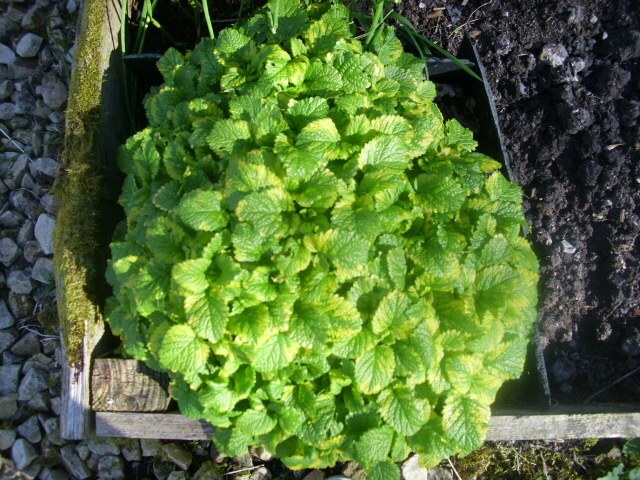 Verroa mite can be treated naturally, with oxalic acid, but there is no need to treat unless it is present. Most beekeepers treat routinely with chemical strips. 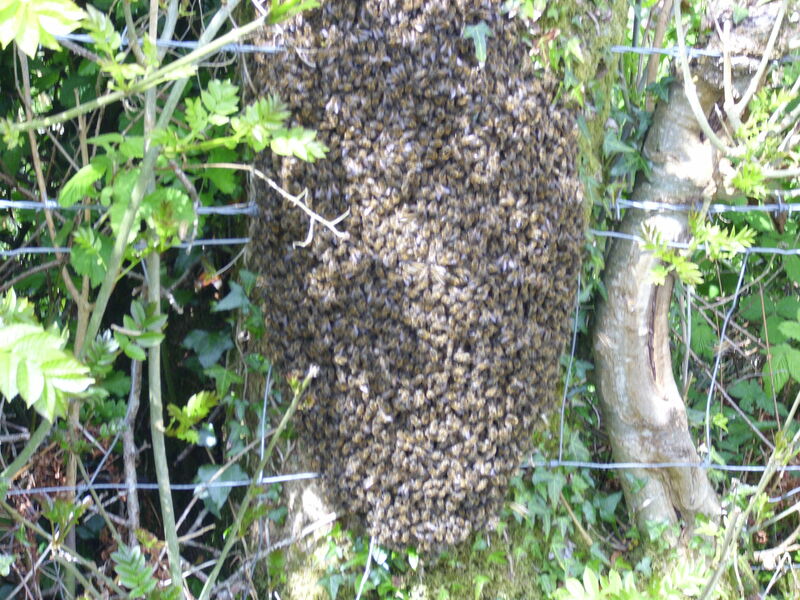 Swarm, Summer 2010, caught and rehomed in Co.Clare. At a beekeeping meeting on Monday Andy was appalled to hear that clipping the Queen’s wings is common practice to stop swarming. 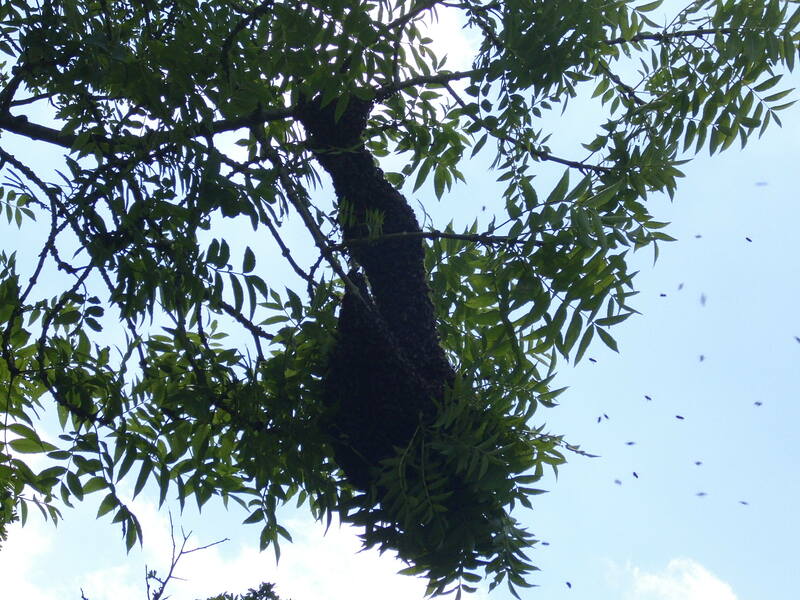 We had 6 swarms last year and still got lots of honey. Swarming occurs when there are 2 Queens and there is overcrowding. To prevent swarming the Queen larvae are killed, which we don’t do, or taken out with a handful of bees and reared to make a new colony. There is much concern in the UK at the moment about “neonicotinoid” pesticides, these are absorbed into the plant and are present in the pollen and nectar. Made by German company Bayer, they are banned in Germany! They are also banned or restricted in France, Italy and Slovenia. These chemicals work by poisoning the central nervous system of insects including bees who partake of the nectar and pollen. We are fortunate here in Arigna that we are surrounded on all sides by an organic farm where, of course, no poisons are used. 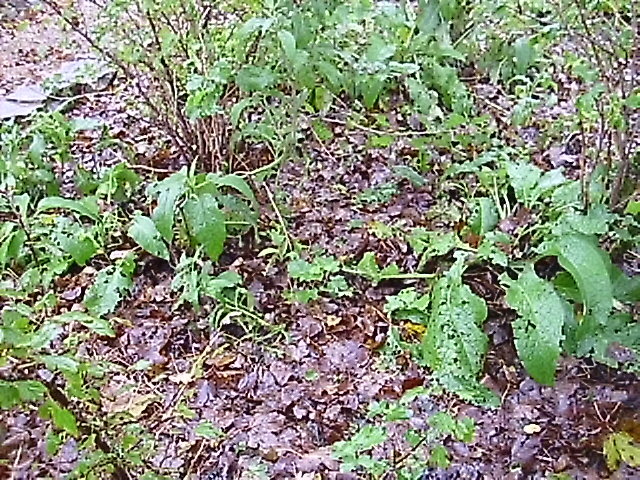 We ourselves do not use any poisons on our land or produce. I don’t understand why one would use something on your land that has a skull and crossbones warning on it! It does’nt make sense! And as his Empire crumbles our precious Apis mellifera shall rise as his most fitting successor. These words I speak are true. We’re all humanary stew, if we don’t pledge allegiance to BEES.